Key Difference: Poem is described as a composition of words in form of prose or verse that is used to express various emotions or ideas whereas rhyme can be described as a poem with repetition of similar sounds often at the end of alternate lines. Poem is described as a composition of words in form of prose or verse that is used to express various emotions or ideas whereas rhyme can be described as a poem with repetition of similar sounds often at the end of alternate lines. Rhyme in poetry has been derived from its meaning in English language as an element that brings similar sounding words together. Due to the fact that rhyme as a component is most often found in lines of poems, the poems with rhyming elements in it are also known as rhymes. A poem can possess a rhyming or non rhyming form. To understand the rhymes we can consider the example of nursery or kindergarten poems. They are simple to understand and due to rhythmic form they are also known as nursery rhymes. In this example words ‘wool’ and ‘full’ sound similar and thus are used to create rhyming effect. belong to genre of Poetry. A form of poetry known as Blank verse denotes poems which are unrhymed by definition and often favoured by Milton, Shakespeare, Wordsworth, Keats and Tennyson amongst many others. External rhyme is the rhyming of words at the end of lines and internal rhyme means two words rhyming within the same line. Thus a poem can be distinguished from a rhyme by checking the matching up of sounds and syllables, usually at the end of lines. If the match exists, it is a rhyme otherwise a poem. Rhyme emerged as a sound of poem. 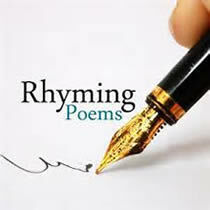 Apart from rhyme the sound of poem can be in form of rhythm or in form of alliteration. Rhymes can be broadly classified into Couplet, Limerick, Octaves and Ballad Stanza. 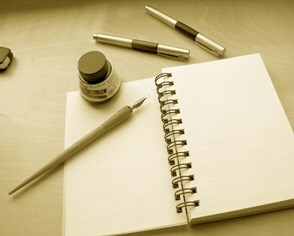 Poems consist of elements like imagery, diction, sound, metaphor and theme. The earliest known Western poetry consists of the Iliad and the Odyssey famous and acknowledged as Greek masterpieces. Greeks at that time mostly used poetry for the celebration of their heroes.